If there is one thing we here at A Bread Affair love even more than our (very) beloved city it is our customers. Without you folks, not only would we be unable to operate as a business, but our staff would also not get to experience the wonderful relationships that they have established with clients over the years! Since this is the case, we always try to share our baking knowledge with others, as there is no reason why we should keep all of our many kitchen secrets to ourselves. Today, we will be exploring a subject that has irked many amateur bakers for, well… since bread came into existence (for those that don’t know, this was approximately 10,000 years ago). We will be exploring some tips, tricks, and techniques that can be used in order to ensure that your freshly baked bread remains as fresh and tasty as when it first emerged from the oven. Nothing beats a crispy, light piece of bread, and it is time to take a stand against the nefarious bakery-cursing duo that is mold and staleness. To truly tackle this issue, it is important to understand how these detrimental conditions first arise. Although it can sometimes be a hard fact to face, the cold, hard truth is that mold spores are everywhere. As intimidating as this sounds, they are actually quite harmless and are generally invisible to the naked eye. In order to reproduce, mold needs somewhere warm and packed full of moisture. Does this sort of environment sound familiar? Is your mind starting to wander to that loaf of bread that rests in a plastic bag right beside the refrigerator? Yeah, keeping your baked goods in a place like that effectively creates a breeding ground for these unwanted organisms, and step one to preventing their growth should be to re-evaluate where and how you are storing these precious, precious loaves. Staleness is another serious problem that most of us are all too familiar with (http://www.abreadaffair.com/bakery-vancouver/stale-bread-much-appetizing-sounds/). This degenerative process occurs as a result of moisture contained within the bread altering its form into a crystalline structure. While the moisture doesn’t actually exit the bread, it re-arranges itself in a fashion that is unappetizing to the human palette. The best ways to prevent staleness and mold revolve around how the product is stored. What many people don’t realize is that plastic bags are actually a catalyst in the emergence of these problems, as they trap moisture, which encourages mold growth and also makes the bread adopt a chewier, less pleasant texture. Storing baked goods within the refrigerator is another common mistake, as the cool and wet environment will speed up the staling process faster than almost anything else. The best way to keep your bread from going stale or moldy is to keep it stored in a paper bag or section of woven cloth. The product should be then placed in a dry section of your house (please, please don’t keep it in the laundry room) and preferably eaten within a few days of being purchased. As a general rule, the sooner you eat your delicious concoction after it comes out of the oven, the fresher it will be! On average, bread has a shelf life of only a few days, but this can be extended significantly by lightly toasting it once you are feeling hungry. If you wish to indulge days or weeks down the road rather than right away (curse you and your self control), then freezing the loaf in a tightly sealed plastic bag is a surefire way to preserve it for a significant period of time. 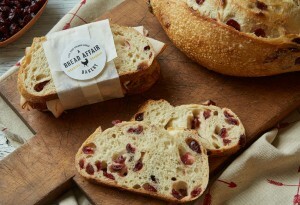 A Bread Affair is a bakery that is stands for much more than just locally sourced, artisan goods. We stand for community and inclusivity, and are happy to share our well-established secrets with our lovely customers. If you have any questions or want some more handy tips, then feel free to drop by our store or check out our website! Bon apetit!